Does this kit do CAT5, CAT6 and CAT7? 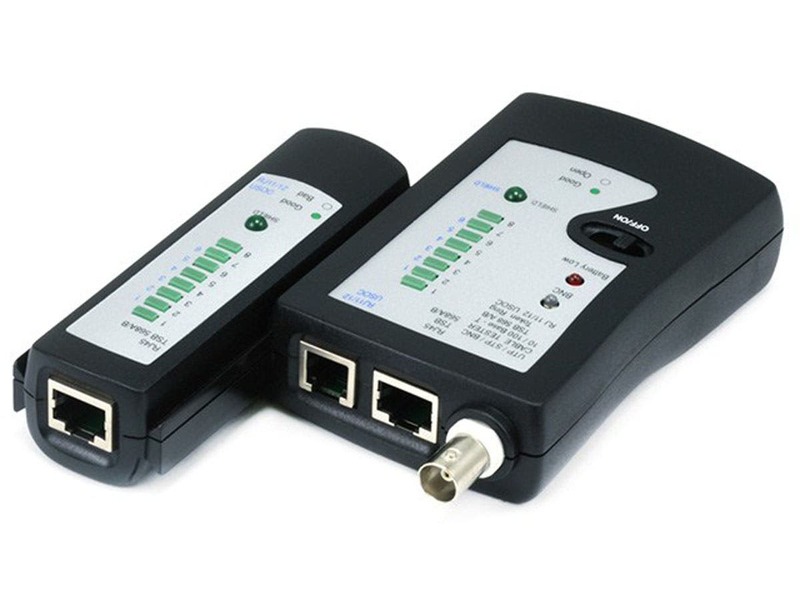 BEST ANSWER: I can confirm this kit will do CAT5 and CAT6, but cannot confirm CAT7. I used this for a CAT6 install and some CAT3 (RJ12 for DSL) and it worked perfectly. 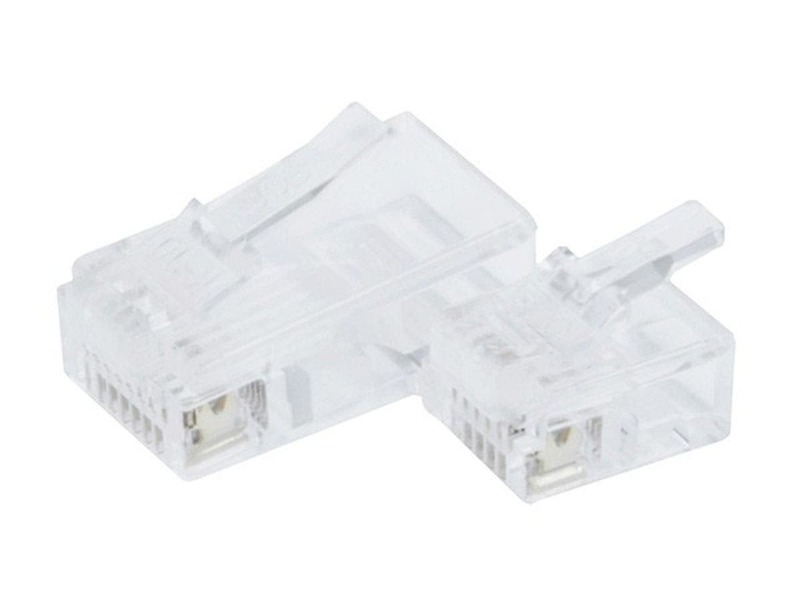 One thing to note is that the kit only comes with CAT5 and some RJ11 (Flat style) connectors, so pick up any extras that you may need. 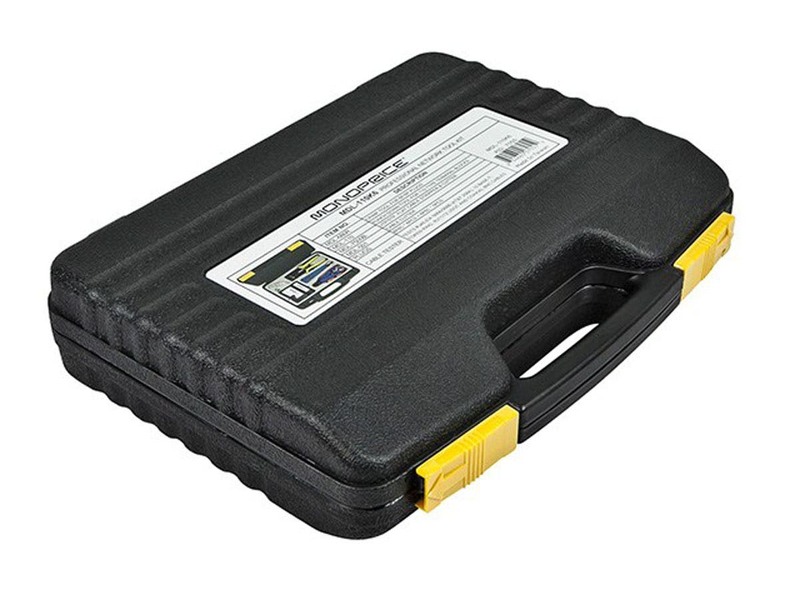 Good tool kit for the price. Tested it on afew cables all of the tools seem well made....the stripper could be a bit nicer but the crimpers feel and work good. tools and case seem well made, cable tester works.. It was a Birthday present for my Son who said it was just perfect. Just started learning about making my own cables and tools work great especially since I am a beginner. 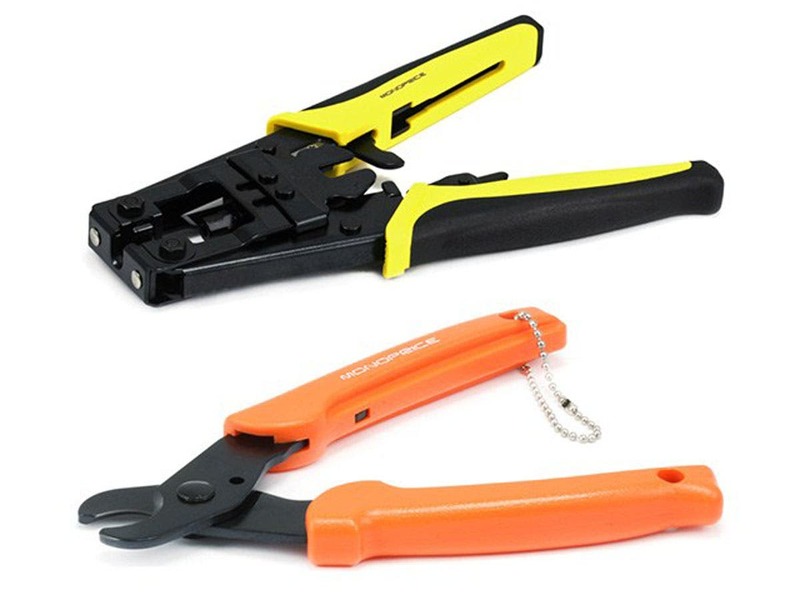 An excellent tool at excellent price. An excellent tool at excellent price. I was impressed by the quality of the tool at a great price, Would suggest to anyone. Let me just start by saying, I'm not used to these tools as they are, and I have a feeling that will get better as I use them more. 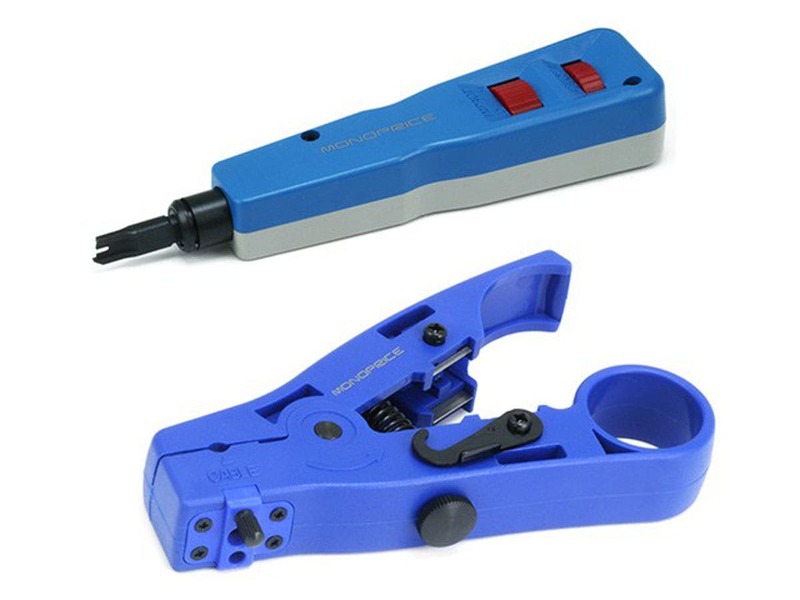 It's a little cumbersome to use the RJ-11/RJ-45 crimper at a right-angle to what I was used to doing with my old crimping tool, but I think I'll get used to it eventually. So far, everything has worked as advertised. I've used every tool in the box, and they all seem well manufactured. The only issue I've had is using the cable-stipping tool on the UTP cable. It has a tendency to "bite" into some of the wires inside; however I think I'd have that problem with this cable with any such tool, as it has an internal guide for each twisted pair (that just gets in the way). I'm never buying this cable (which I stupidly didn't get from Monoprice) ever again. The carrying case is sturdy and keeps everything neatly in place, which I love, although I had to label "top" and "bottom" as the pieces fall out when you open it upside down. You can tell the "top" by the monoprice-logo sticker, but if you work in environments with oil and solvents (as I do), then the sticker could easily come off one day (the same is true for the labels, so I may etch "top" and "bottom" with the soldiering iron from the PC toolkit I purchased with it). 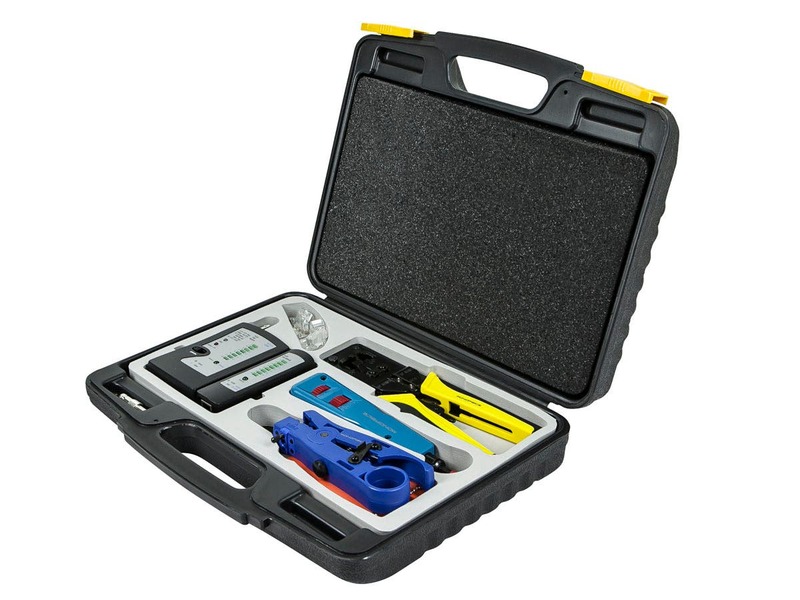 This kit is very handy when working with cable, RJ45, or RJ11 wiring. The continuity tester is really handy for making sure the wiring is consistent. Just starting using this kit the past weekend. Installed a new 52 port switch and had to run/reterminate about 2000 ft of cat 6. So far each tool has worked well, has a solid feel and should last for quite some time. Even the tester has been very helpful with runs up to 100 feet. I even used it to diagnose a few bad couplers. Overall very pleased with the kit but admit given it's the first of its kind that I have used (in the past I purchased all pre-made cables) it did take several practice attempts to get things adjusted and used properly.